Thanks to the benefits of yoga it has gained a lot of popularity in every corner of the world. The growing demand for yoga has led to the need for qualified yoga teachers in India. Yoga schools and institutions across the globe are in need of certified yoga experts and professionals that can allow them to train trainees and individuals. While there are benefits of practicing yoga there are many benefits of becoming yoga guru in India. It is a great thing if your passion for yoga can help you earn a good income. If you are bored of your regular job and want an alternative job option you can make your career in yoga and ensure that you have good alternate source of income. 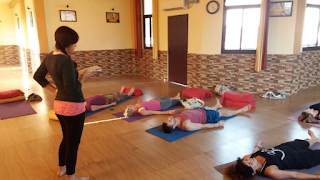 There are many yoga teachers but limited yoga teachers in India who have really in depth knowledge and therefore yoga schools and institutions have to pay them well to retain them. Yoga is all about staying fit mentally and physically. When you become a yoga teacher you also become more conscious about how to stay calm, healthy and relaxed mentally and physically and therefore you can live a better life. Yoga not only teaches you to stay calm and relaxed but also keeps you rooted with your ethics and principles. You get into a non-competitive approach which allows you to focus on what’s important for you and eliminate the hype and noise around your life. However, to get the best yoga learning experience you need the right teachers. Kaivalya Yoga School has best yoga teachers in India to help you get the best yoga education in India.